Asking friends to pay you back is never a comfortable situation, but luckily, it’s about to get a little bit easier: Venmo has added an automated feature that will now check with all the people you request money from to make sure they’re not mad at you about it or anything. Well, it’s about time. This service is going to completely revolutionize the way people pay each other back. Awesome! It sounds like this is going to help a lot of people out. 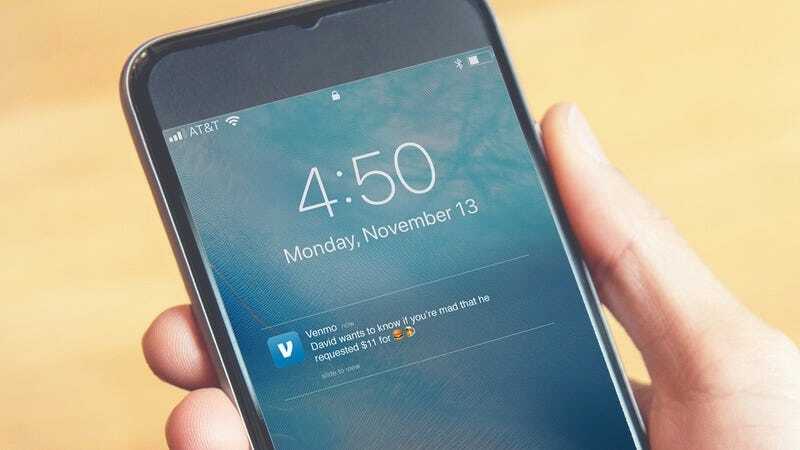 As if that weren’t amazing enough, Venmo is also providing users with an option to counter your friend’s request for money by passive-aggressively sending them an itemized list of all the money you’ve spent on them over the years but have let slide because you thought that’s what buds just did for each other. The app then helpfully suggests that your friends pay you back for the few dozen shared Uber rides they never reimbursed you for and allows them to send you a groveling message begging you to forgive them for mooching off of your generosity. Nice. This feature sounds like it’s going to eliminate a ton of anxiety whenever friends need to pay each other back! Kudos to the geniuses at Venmo who thought this one up—you’ve definitely provided a valuable service.